Everybody likes to go fast, but not everybody likes to advertise. The S&S Stealth air cleaner kits are for the rider who likes to go fast, but wants to be just a little bit sneaky. 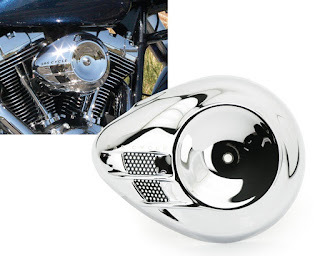 Get all the performance of the S&S design, including the air directional "stinger" cone in the filter, and hide it under your stock Harley-Davidson Twin Cam air cleaner cover. 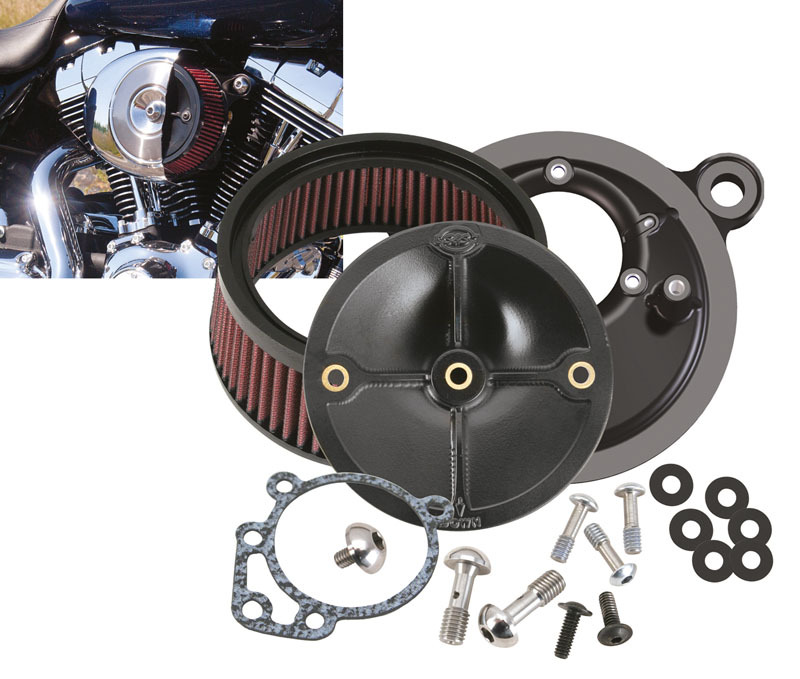 These kits are EU approved and come with the required approval documents. 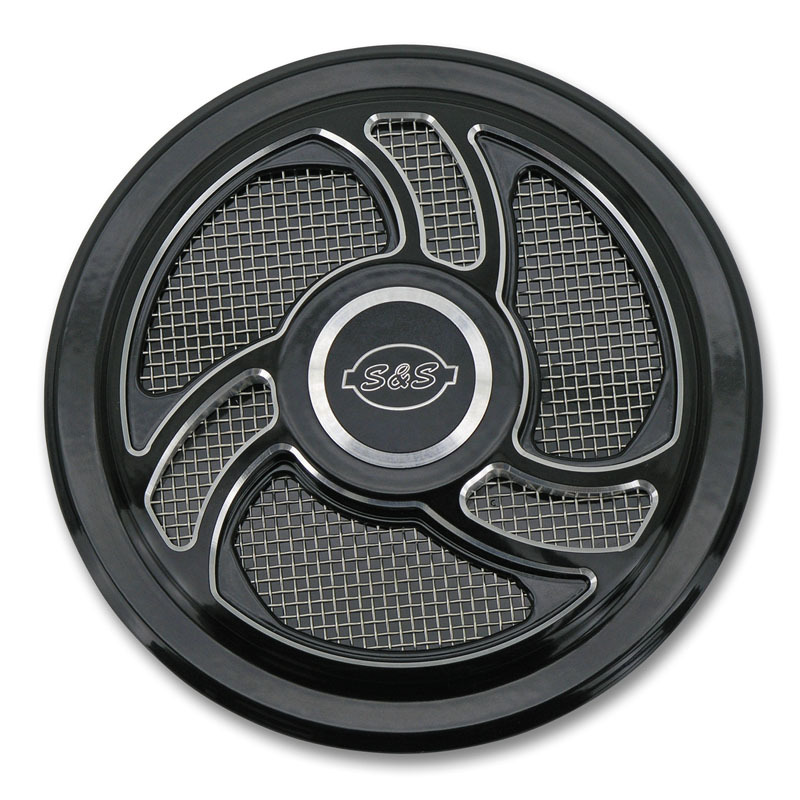 We're talking sleeper hog! 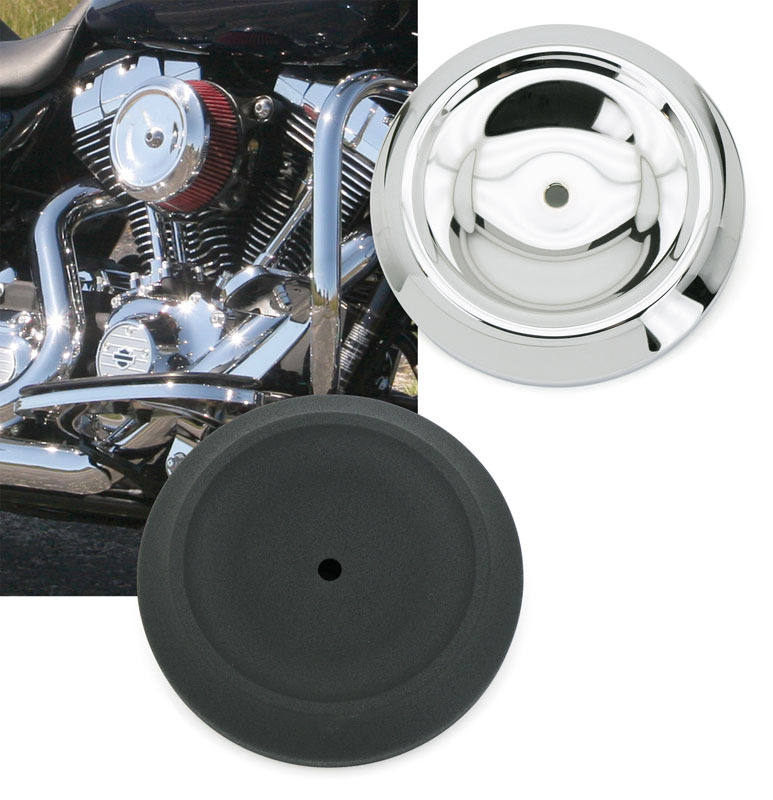 Sportster models can get the same performance kick, but won't be able to use their stock covers. Of course, there are always those who figure if you got it, you ought to flaunt it. 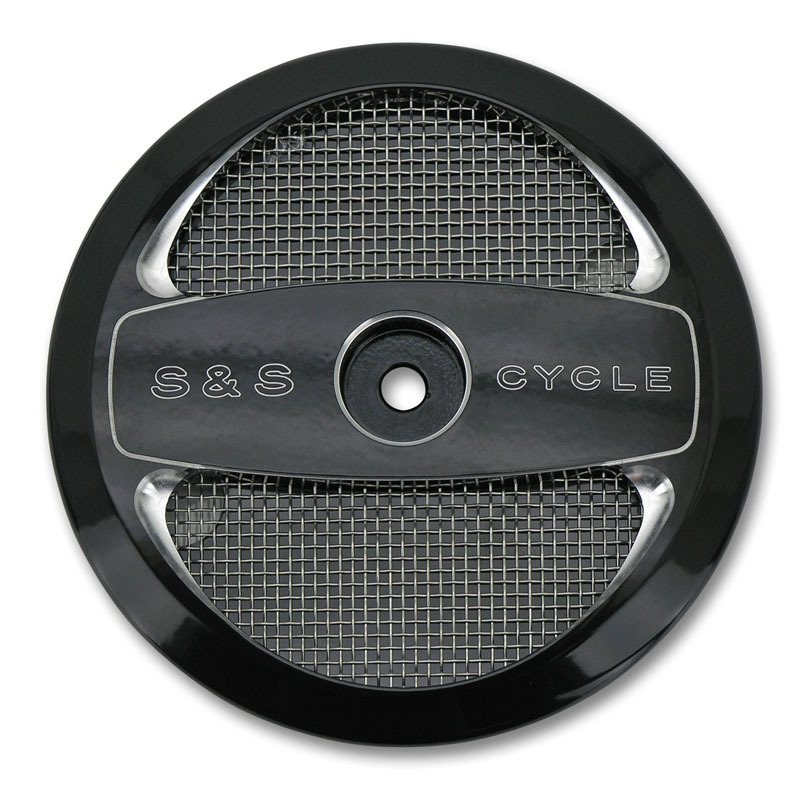 For those riders, we offer a line of stylish S&S air cleaner covers to go with the new Stealth air cleaners. The Airstream cover was designed as an update of the same classic S&S teardrop with the advantage of offering increased air flow. 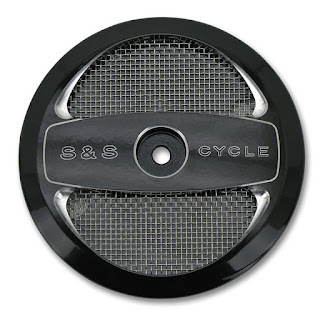 However, it is not the only cover option for the Stealth, as S&S is also offering several minimalistic billet covers in a choice of black or chrome that leave the air filter element and back plate exposed for a high performance "don't mess with me" look and a performance boost as well. 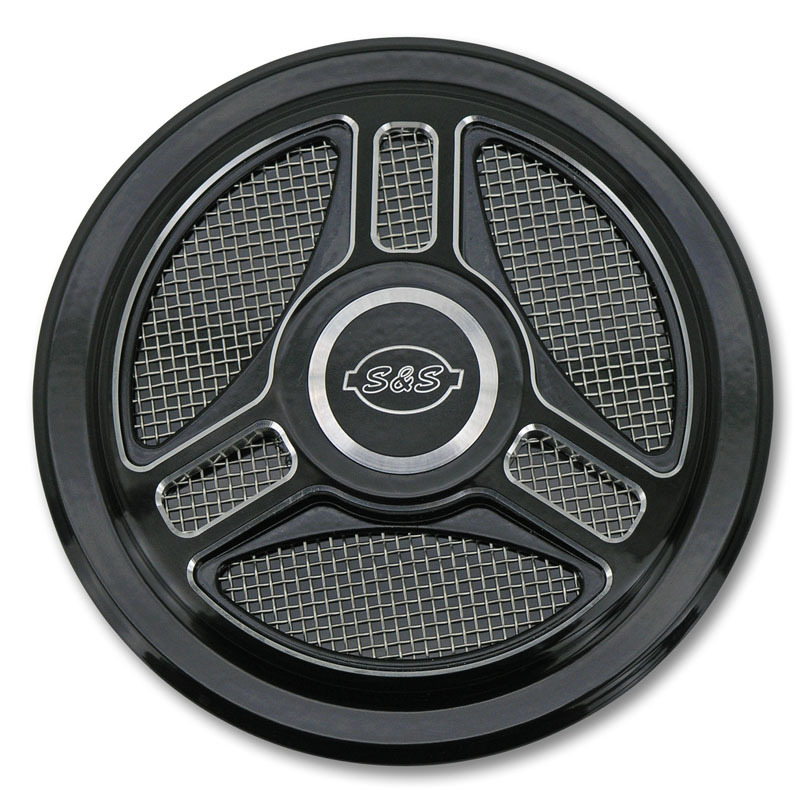 One of the covers, the 'Muscle' uses miniature hood pins similar to those that held the hoods down on the muscle cars of the late Sixties and early Seventies, hence the design's name. 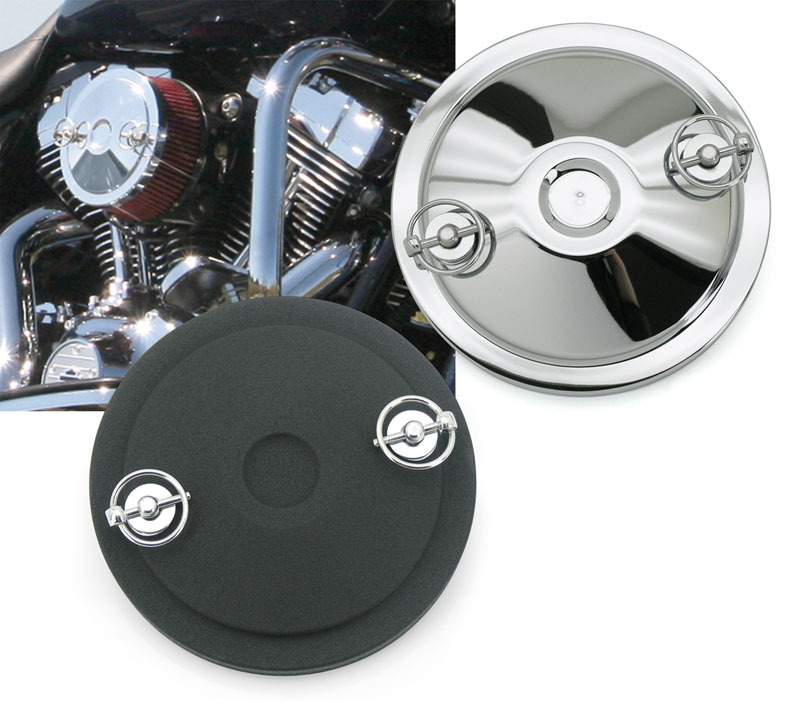 The Stealth air cleaner is designed with the back plate as a bolt-on part with minimal fasteners and assembly required. No shims to worry about, no breather lines to hassle with and internal hardware that is locked in place so that it can't come loose and be ingested into the motor. Because S&S designed the stinger section of the air filter to be a separate piece from the element, it makes the filter replacement much more affordable when the need comes to change it. The element is washable though, and should normally never need to be replaced unless it is damaged. We suggest die-hards who do longer trips in the rain to also order a rain cover.